But you want to hear the other side. So here it is. Here are ten reasons NOT to go rafting. There will be bugs. Sometimes less, sometimes more, sometimes so many that they are sifting through your vents before you even open the door at the put-in. You might have to wear bug spray, or even a rain coat to keep them at bay, or you could pretend that your homeopathic tea tree oil is really working. Maybe light up a pungent cigar at camp and then proceed to drink them away. However you choose to deal with the omnipresent insects is up to you. 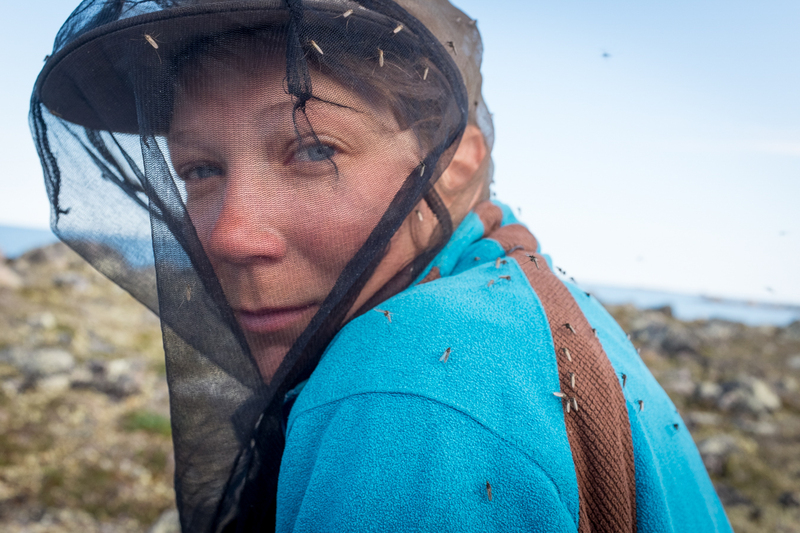 By the end of the trip you will be counting all those pesky bites, but find yourself smiling when you realize all the new stories you have outnumber the bites ten to one. Skull, Man-Eater, Devil’s Toilet Bowl, Iron Ring. These names are somehow meant to inspire you to seek out the rushing adrenaline of rapid running. Everyone tells you it’s worth it, that the thrill of success always outweighs the gnawing uncertainty of the scout. That somehow you will come out the other side whooping and cheering and toasting your first PBR of the day, but really? Isn’t it dangerous? And when you do make it through all the rapids, and you (probably) will, there could be bears. Really. They could rampage your kitchen at night looking for any smidge of leftover Molten Chocolate Dutch Oven Cake, or the attractive scent of your cucumber melon lotion. You definitely have a one in a billion chance of dying. Wouldn’t it be safer to get back on the interstate and drive straight home? Or better yet, just stay there. You might have to poop. It’s true. It happens almost every day. And if you spend some days on the river, eating food, it will probably happen on the river. And then, you might have to use the groover. 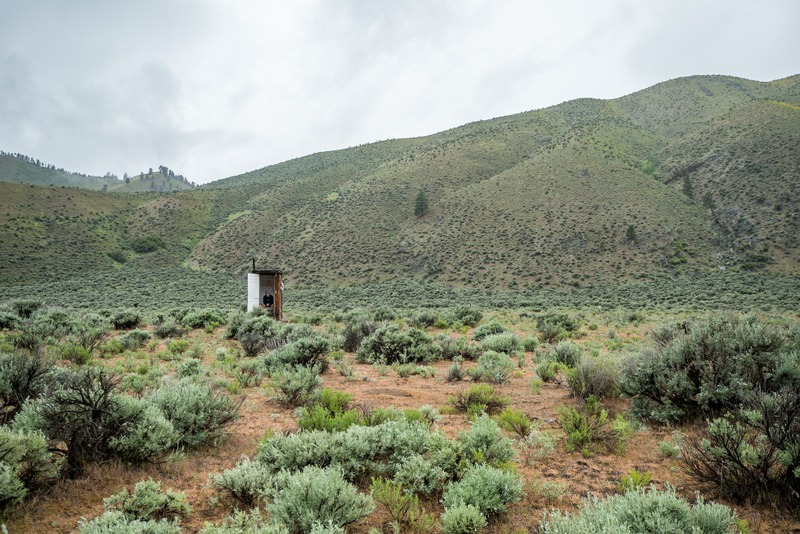 The portable, leave-no-trace, not-so-porcelain palace preferred by paddlers. Perhaps you will feel the call in the early morning, or perhaps the evening, when the sun is reflecting off the canyon walls across from your toileted perch, and you can watch bighorn sheep bounding on boulders. Perhaps there will be another friendly group of boaters who will float by and wave and congratulate you on your evacuation. Mortifying? Maybe. Memorable? Definitely. 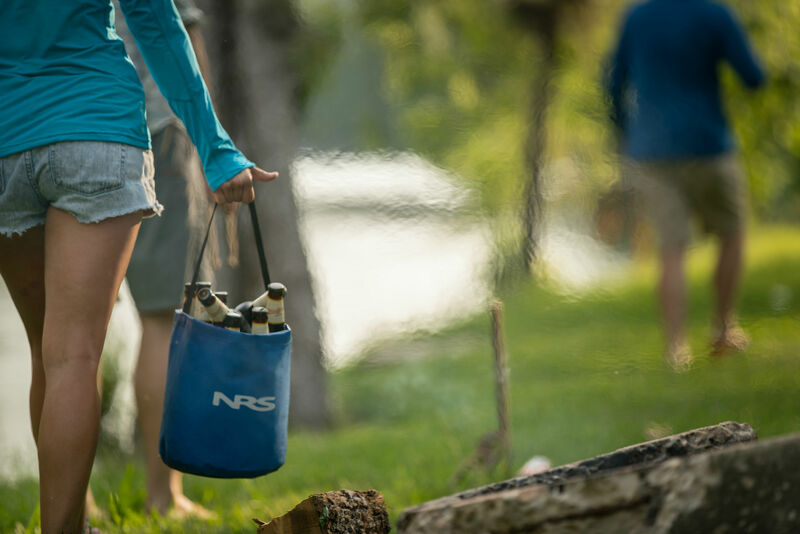 If there is wind, which there will be, it will be upstream, and you will probably have to put down your beer and row. You might even have to tighten the chinstrap on your big silly hat. And then, most likely, the wind will blow harder and you’ll have to discover, with each steady stroke, exactly how much longer you can keep rowing after you were absolutely positive you had to quit. And it will be exactly long enough to get you to the next camp. And if the next day is like that, you will realize you can do it again. And again. And then you will end the trip with some sweet guns. You might have to work hard. Once you finally get to stop rowing, you’ll still have to work pretty hard. You’ll have to carry coolers, dry bags, bocce sets, tents, tarps and even Paco pads up the beach. Then you’re supposed to help build a kitchen, put up your tent, cook and clean! Of course, it would be a lot easier if you just rented an RV and camped ten feet away from everyone else. Because the only thing that all this work gets you is a remote, pristine campsite deep in the wilderness without the imprint of man anywhere in sight and the rushing song of a river to lull you to sleep. You won’t be able to check Instagram. Lots of rivers don’t have cell phone reception yet, let alone 4G. This means that all of the views, hard work, and transformative experiences you really need to share RIGHT NOW will just have to wait until after the trip. No likes or shares to validate your existence for days. You’ll be stuck living in the moment and appreciating the company of those around you. You’ll have to play games, tell stories, sing songs, and put on silly costumes to pass the time. You don’t have the proper attire. Speaking of silly costumes…You pride yourself on being the best-dressed for any occasion, but the packing list makes no sense! Sunshirt, bathing suit and shorts, sure, but raincoat, fleece sweater, sarong, 80’s themed-costume and your birthday suit? Animal masks encouraged? What kind of party scene is this? And you just can’t get a straight answer on how to accessorize your PFD properly. Rivers are sometimes far away. Gas is expensive. Do the math, and save your money for Starbucks. Why invest in a life-changing experience when you could have instant, caffeinated gratification? 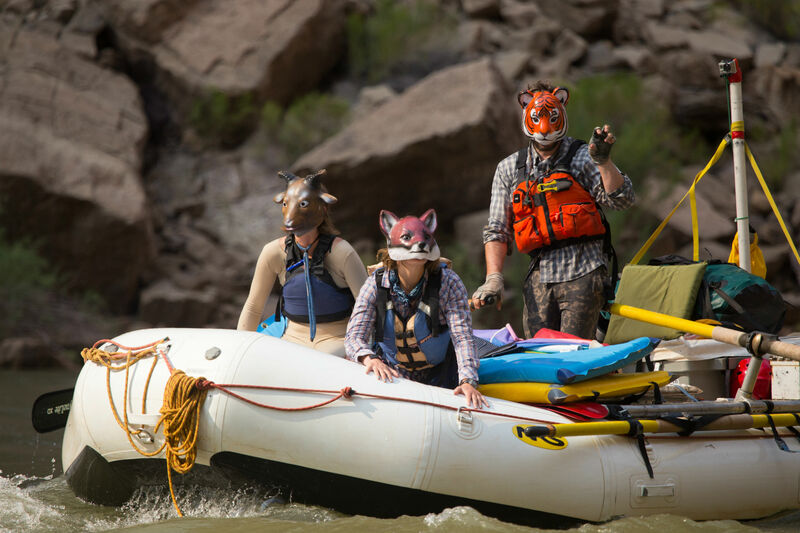 If you don’t like meeting interesting people, do not go rafting. You could try a solo trip, but then there’s more work and more rowing. 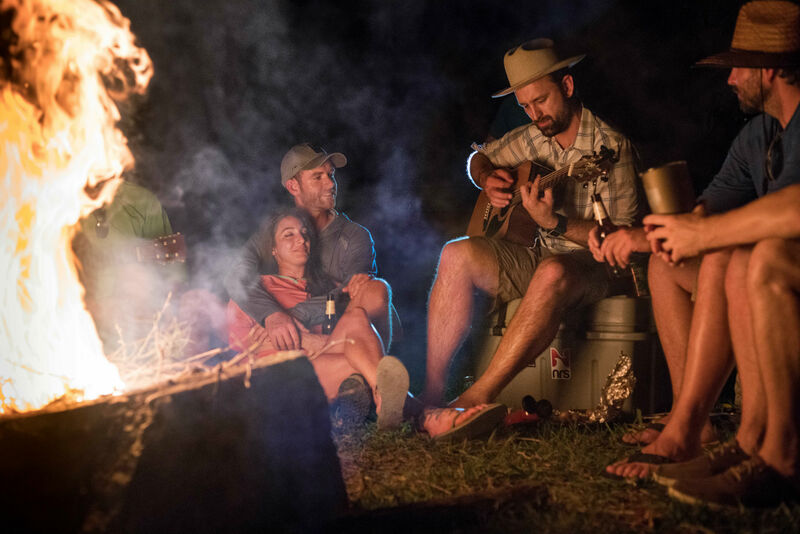 Sometimes these interesting people will tell stories, sing songs, play drinking games, dare each other to make suspect decisions, cook squirrel fajitas or even dutch-oven pineapple upside-down cake with their great-aunt’s recipe. You’ll have to get to know these people on an intimate level, working together every day and sharing what can be a totally transformative experience. Sometimes you’re even stuck with these people as life-long friends who will call you back to the river season after season. Exhausting. So there you have it. The other side. 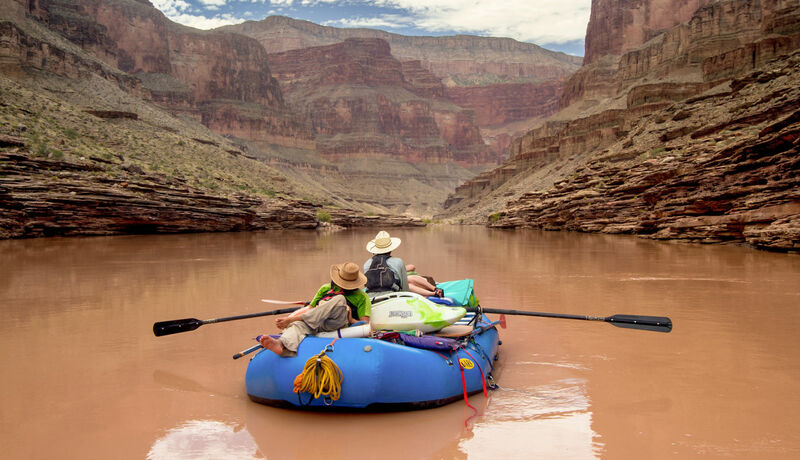 The dark, unspoken truths about multi-day rafting trips. Choose wisely.